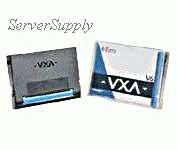 IBM - 24R2137 IBM - 8MM 230 METER 80/160GB VXA2-X23 TAPE CARTRIDGE (24R2137). NEW. MINIMUM ORDER 10 PCS. IN STOCK. SHIP SAME DAY.